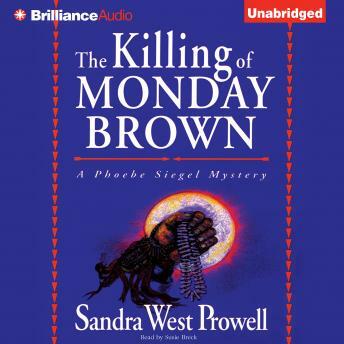 When Monday Brown disappears and circumstances point to murder, few people in Billings, Montana, are surprised or think it undeserved. His business practices were undesirable and his profession - a trader in Indian artifacts who wouldn't think twice about desecrating a grave - was an insult to, and an assault on, Native Americans. Police arrest a hot-blooded Gulf War veteran with a big mouth and a propensity for trouble named Matthew Wolf, a Crow Indian. Wolf's family comes to private investigator Phoebe Siegel for help. But she turns them down - until the body of a young Indian man shows up virtually in her backyard. Phoebe begins an investigation that takes her from the comfort and security of her world and onto the Crow reservation where the color of her skin makes her the enemy.